I’ve said it before, and again, I absolutely love being a member of the National Trust. For £108 a year we get access to hundreds of properties around the UK, which means we’re never short of somewhere to go for a day out. Whatever the weather. 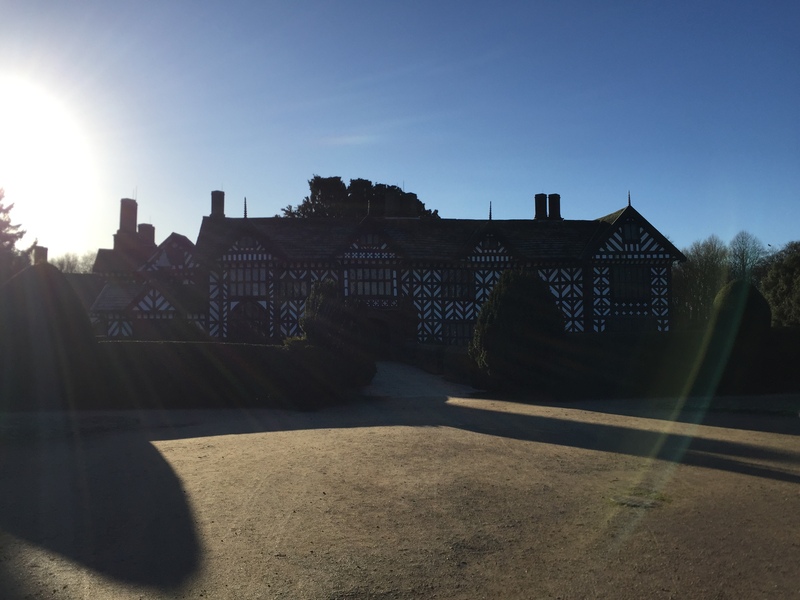 Despite the frosty weather we’re being treated to at the moment we took a trip out to Speke Hall in Liverpool with the little. 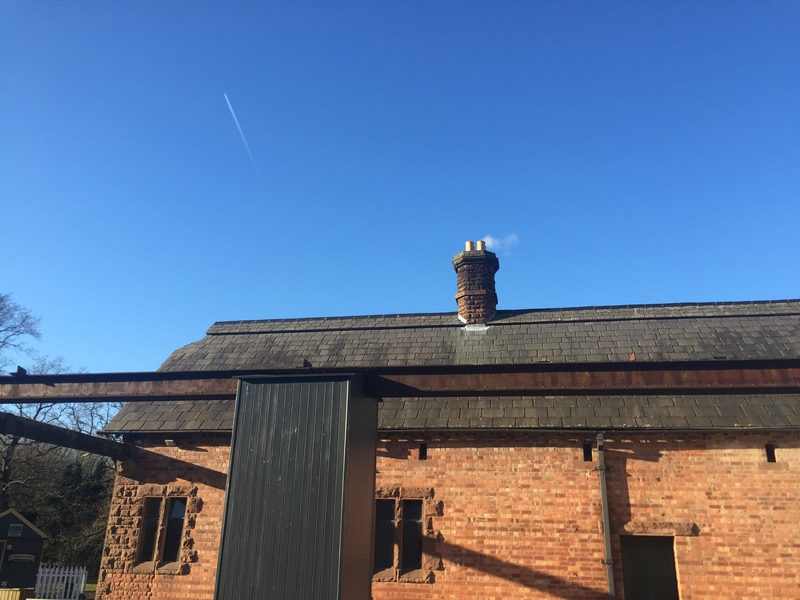 Speke Hall is a Tudor Building sat in a large expanse of grounds, which you can explore and play in – but also watch the planes from Liverpool John Lennon Airport fly over! Poor Pippin got to explore next to none of the grounds, she had fallen asleep within ten minutes of our arrival, although she did find the time to make a new friend: a pug called Hercules. If your child has more stamina than mine then you might manage to make it rounds the hedge maze with them, or you could enjoy some snacks from the café whilst they played on the huge play area. We are definitely going to go back and explore this with Pippin, because we’ve never properly had a look round it and it looked so much fun! There’s also a special woodland walk, complete with zip lines, den building and outdoor obstacles to balance on. 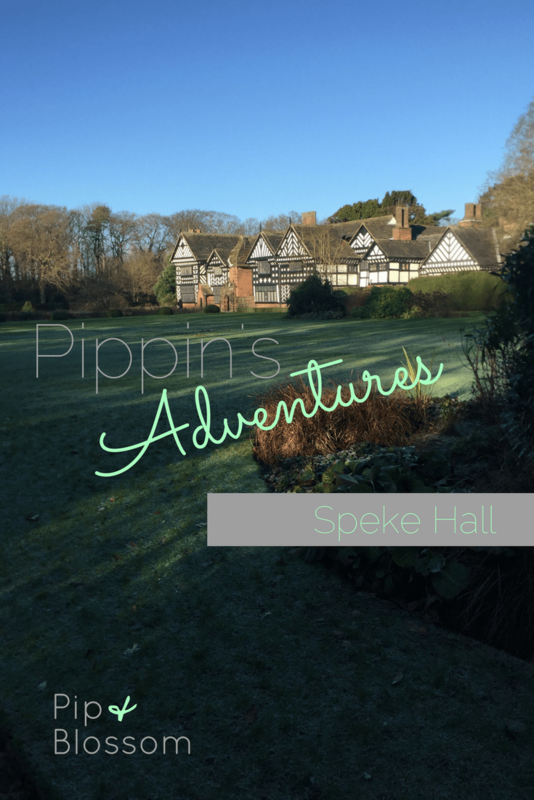 We’ve been to Speke before, but not since Pippin was born and we never knew about all the fun things we could do with her there, so Speke will definitely be going on our re-visit list. The house re-opens on February 10th, but until then there’s loads of outdoor spaces to explore.